Student Center - PRIME AE Group, Inc.
At PRIME, these are the words we live by. We strive to incorporate these ideals into our projects and to make our local communities better places to live and work. We know that our staff is our greatest asset. By providing opportunities for professional growth and advancement, we create the ideal environment for you to excel in your career at PRIME. 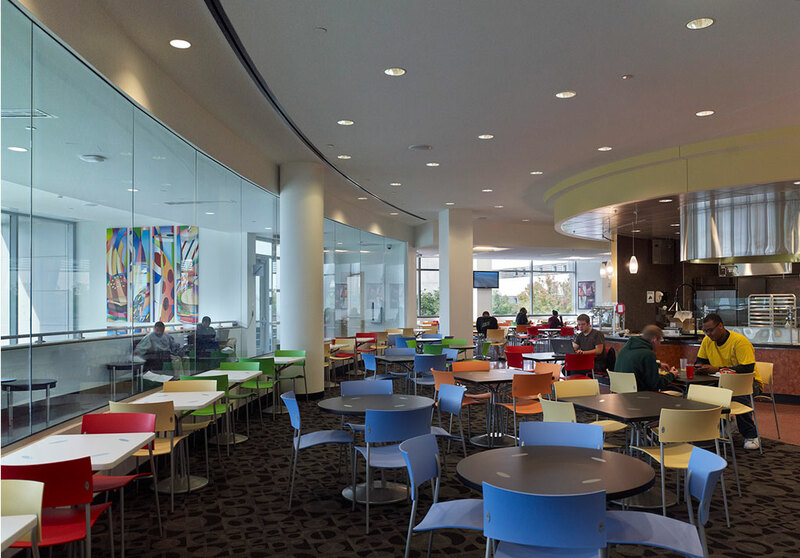 The new Student Center encompasses 138,000 SF and provides services including the main food service kitchen, retail and campus dining, pub, University Bookstore, atrium spaces, ballroom, and new offices for Student Life and Student Organizations. It unites the links between the Campus Main Plaza, Euclid Avenue, and adjacent classroom buildings to the east and west. 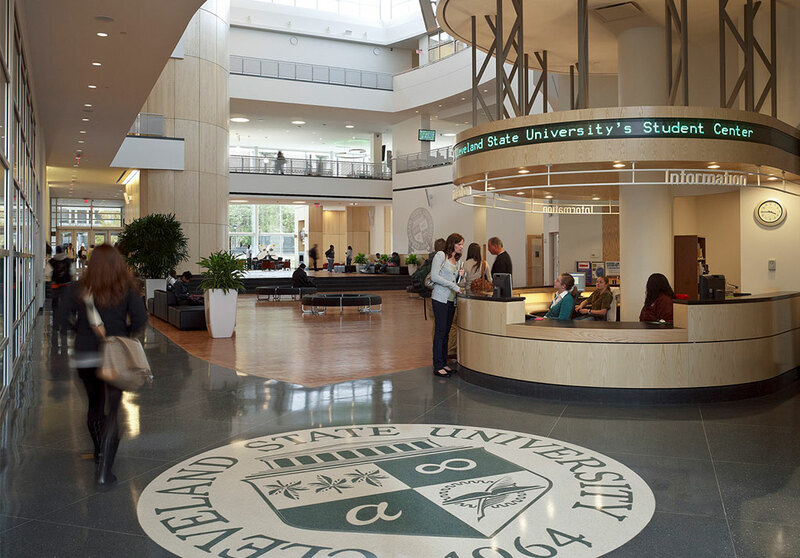 The campus “interlink” pedestrian system is inserted through the Student Center on the second floor, creating another major entry presence on a multi-level campus and strengthening connections to the urban campus. 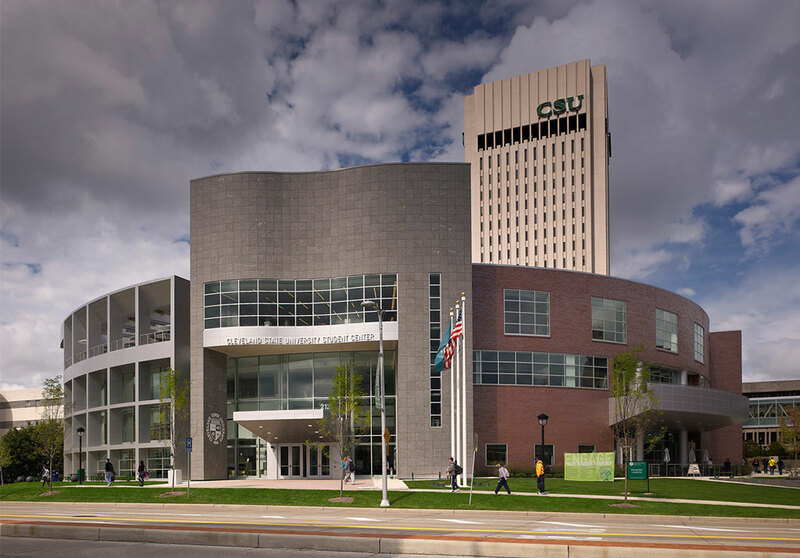 The new building design and construction, along with the process of demolishing the existing building, achieved LEED Silver Certification from the United States Green Building Council. This project also received a 2011 Excellence Design Award from the American Institute of Architects Akron Chapter. Ready to get started? Let us know how we can help. New posts and updates delivered to your inbox.